The University of Canterbury’s Students Association building was badly damaged in the 2011 Canterbury earthquakes. 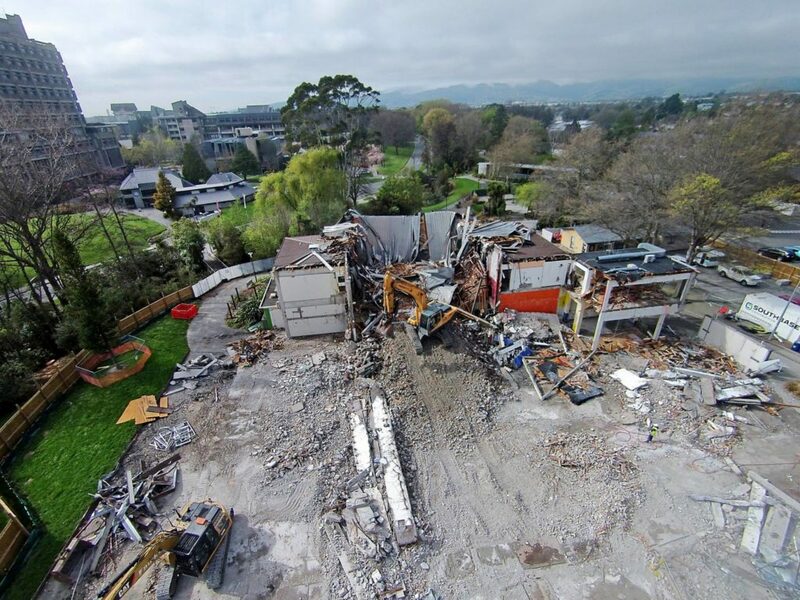 RCP were engaged during the Developed Design stage to provide design and project management services for the main contract, and are currently managing the demolition of the existing building. We have also commenced early enabling and ground improvement works prior to the main contract works commencing. As the site is located within an operational campus environment, careful programming and programme management together with strict health and safety procedures and communication protocols have been successfully implemented. The new, bespoke UCSA facility is an IL3 building that has a gross floor area of 3500m² and is designed and constructed to provide the student body with a number of facilities. It accommodates a modern and adaptable 1000 pax performance theatre, function centres, social and media rooms, club and societies spaces, food and beverage offerings and the UCSA offices. The surrounding building is landscaped and designed purposely with outdoor facilities to accommodate student events and functions including external kitchen, staging area and amphitheatres. The building will not only be an asset to attract students to the University, but will also play a pivotal role in rebuilding the campus community and will be an integral part of the student experience for years to come.